Sorry for such a noob question, but what does this (NEW CONTROL4 WIRELESS PUCK DIMMER SWITCH) do. Is this a nice way of controlling multiple dimmers in one room without having hundreds of dimmer switches on the wall? 1. You do have to reflash them which takes 5 mins and provides much more from a functionality perspective. 2. Whilst I agree as a protocol zigbee is a better protocol in terms of strength it has its own issues. Example C4 mesh is locked down (which is good due to security) but very little ability for interop. I have the Vera system which works with Z wave devices and whilst works well with C4 is still very limited to a light switch or two integration. If you can write drivers yourself a great option would be the Zigbee 3.0 gateway "Phoscon" based on deconz. It has support for many ZLL light bulbs, contacts, motion sensors, light level sensors and even retrofit switches and dimmers from ubisys - this would open the Zigbee 3.0 world to Control4. If you can write drivers yourself a great option would be the ﻿Zigbee 3.0 gateway "Phoscon"﻿ based on deconz. It has support for many ZLL light bulbs, contacts, motion sensors, light level sensors and even retrofit switches and dimmers from ubisys﻿﻿ - this would open the Zigbee 3.0 world to Control4. This is a great hardware and maybe a much better solution than C4's, the Ubisys is much slimmer and euros 119/piece is a great price indeed. The Ubisys hardware can be used with a standard decoration style toggle switch - which is great for a retrofit. Together with the Phoscon gateway 2-way control to Control4 is available for all devices which the Gateway support (and if you look at deconz github those are many) - "all it needs is a driver". Yes, I installed 20 around my house, just make sure your box have enough depth to hold the puck, I also used toggle switches to operate them. This allows me to have a normal looking switches all over the house. The rest of the house I used toggle switches hooked to IO via cat6 and Loades to 3 DIN rail panels, the entire house is now controllable via C4 interfaces, panels, remotes, etc. Can you provide a link to the toggle switches you use? These sound like a good option where I do not require the full C4 adaptive dimmers. I take it if I were to replace a 3 gang I would require 3 Pucks? IE they do not do a duel load puck? 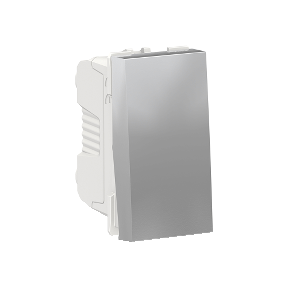 Have you looked at the sonoff sing gang switches? Yes, and various pucks like Shelly(1)(2)(2.5). They can all work with various levels of effort and configuration. I'd still prefer a retrofit C4 puck on Zibee. At the moment I'm working out proof of concept for using Zigbee2MQTT so I can use a wide range of Zigbee products integrating with C4 using MQTT. I'm also using Tasmota firmware (using MQTT) on various Wifi based products like those Shelly pucks and various off the shelf Wifi based switches and even RGBW bulbs. Ensure all lighting control is local and does not go to or use the cloud. Use the switches we like for the majority of the locations in the various homes. At the moment this is the Legrand Adorne line. I wish I could just fast forward this technology 5 years because at the moment the options are wide with trade-off's. In 5 years I'd imagine there will be some strong winners and better products. There are some products with great smart internals, but the build quality is crap. That's where C4 is a solid choice if you like the look. Nice products at a cost relative to the build quality. There are some products with 2 loads. I used Schnider Electric Unica normal Toggle Switch, it’s usually used in homes for Outdoor Bells! Just an example. I am sure there are more brands offering 3. However the puck also needs to go somewhere.. It's possible you didn't realize I was speaking about the market of puck products rather than specifically C4 pucks. There are pucks that are dual load and dual switch. Shelly has some. I don’t think they operate outside China, never managed to get any pricing nor how to acquire their devices! Each puck joins the project as a light load, you can Group them and do any task normally. They are pretty fast, almost instantaneous, no delays at all, they use Zigbee to report back their status to the system. In the UK it is common to have the neutral at the light not at the switch so my question is could you install a puck at the light then use a keypad to replace the dumb switch? I.e if the puck was a dimmer can you wire a keypad from it without a neutral or would I still have to run a neutral down to the switch location? Looks like they have been around for some time, and for 240v loads only (not for USA customers) if this link is correct. Yea. You have no idea how much time I have spent trying to find a similar solution for the US that works with C4. I was hopeful they finally came out with something.